There is an urgent need to improve STEM skills among U.S. students. With nearly 80% of future careers requiring science, technology, engineering, or math (STEM) skills, it is vital that we work to improve STEM education in the United States. Beyond just the future career outlook, STEM education is essential for developing the basic analytical, problem-solving and critical thinking skills central to academic achievement and workforce readiness in the 21st century. ELO programs complement and supplement school-day learning and are well-positioned to engage and motivate youth participants. By offering innovative hands-on, project-based learning, STEM fields come alive for youth. Improved attitudes toward STEM fields and careers. Increased STEM capacities and skills. Higher likelihood of graduation and pursuing a STEM career. 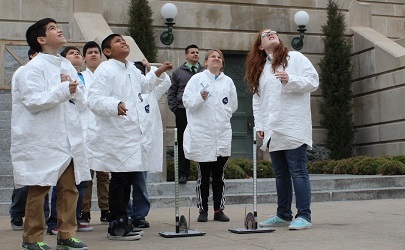 Click here, to learn more about the importance of STEM in Nebraska's ELO Programs.